Nowadays wearable technology is becoming part of our lives, whether it is a fitness tracker or a smartwatch. Smartwatches are becoming affordable & completely user-friendly, here is one of a smartwatch under this category that fits in everyone’s budget & provides the best functionality. 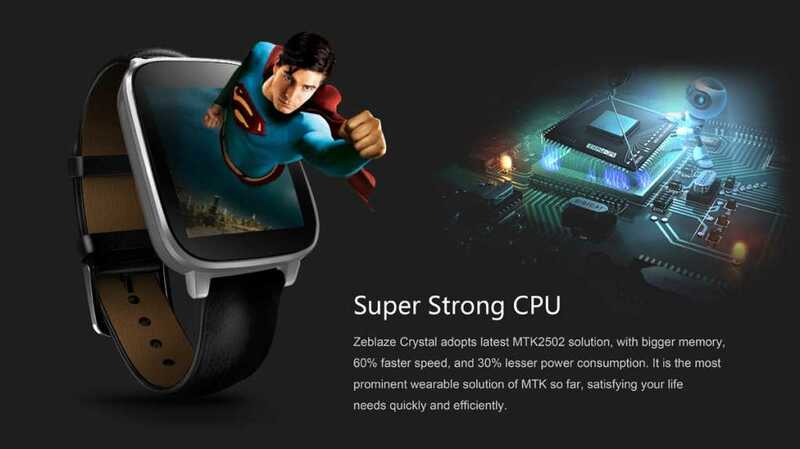 The Zeblaze Crystal is the perfect smartwatch that one can spend money on without a second thought. It features a 1.54-inch display with 3D single curved tempered glass which provides an amazing user experience with a wide-angle view and is equipped with an MTK2502 chipset. 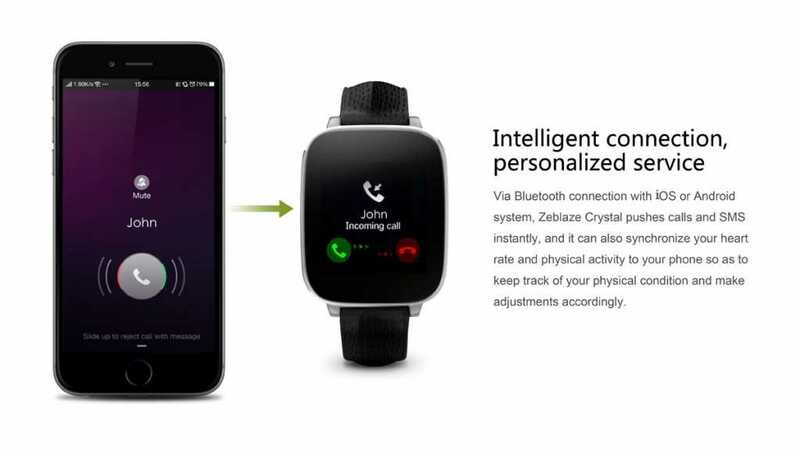 As the smartwatch pairs using the Bluetooth, making it compatible with both iOS and Android which lets you feel the ease of using a smartwatch. It also includes a Bi-color injection molding technology to provide a comfort skin touch experience & has 128MB of RAM & 64MB of ROM. 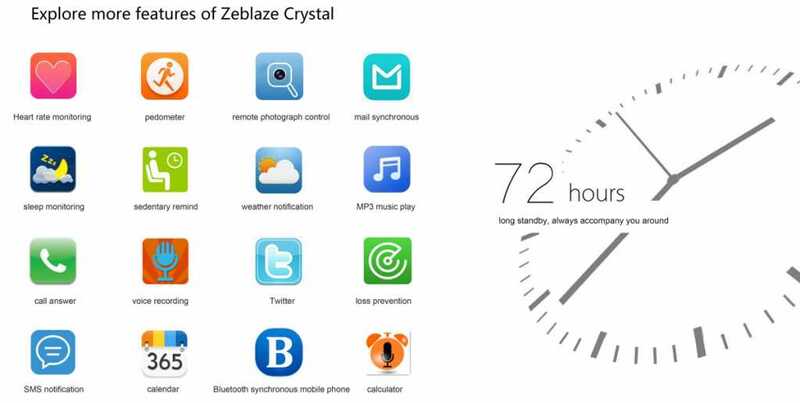 Call/Message Reminder:- As soon as you receive a call or a new message, the Zeblaze crystal will ping you right away so that you don’t miss any kind of important call or message and stay connected to people always. 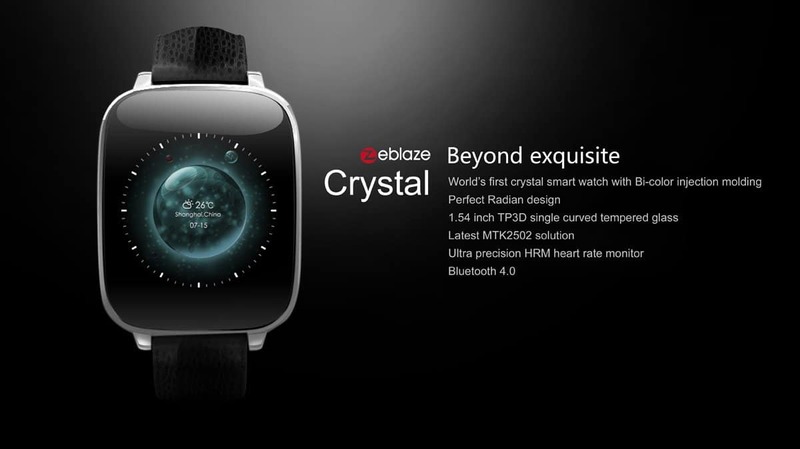 Remote Camera/Music: – The Zeblaze crystal allows you to take an image using smartphone anywhere while listening to some music right from your wrist. IP65 Waterproof: – The smartwatch is waterproof and you can even wear it while doing your daily tasks such as washing your hands etc. 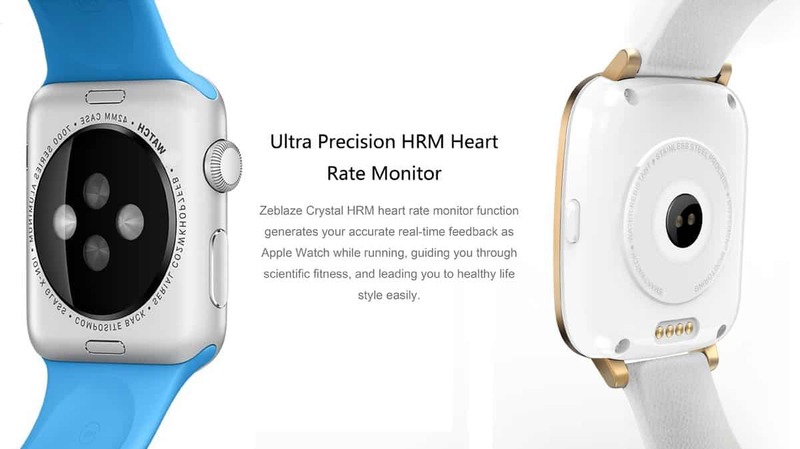 Heart Rate Monitor: – The heart rate monitor function of the Zeblaze Crystal will offer real-time feedback just as the Apple watch so that you can check your heart rate anywhere at any time. Information Pushing: – Get instant push notifications for your favorite social apps like Facebook, Gmail, Twitter and so on. Pedometer/Sleep Tracker/Sedentary Remainder: – The smartwatch takes care of all your daily needs, thus leading you towards a healthy lifestyle. 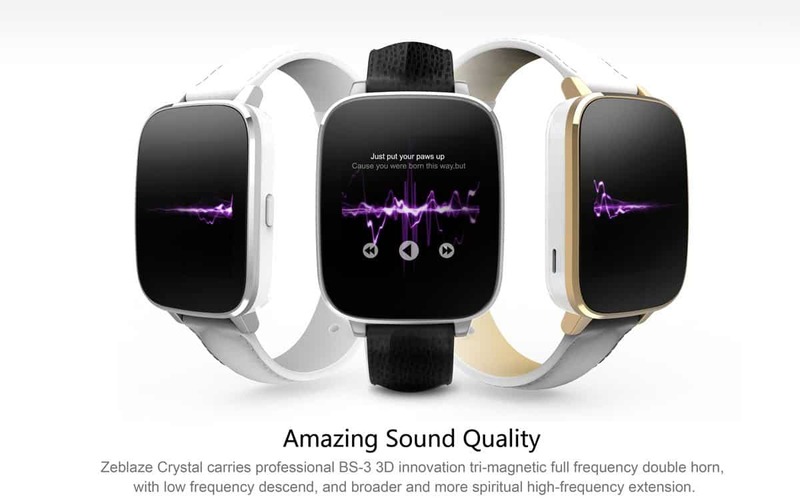 The Zeblaze crystal will be available in two kinds of genuine leather bands 22m bamboo pattern and lichee pattern with Bluetooth 4.0 with range up to 10 meters operating on 280 mAH of battery which boasts to provide up to 96 hours of standby time . Now it’s time for the deal alert. Overall, it is a perfect buy for one considering its deal price now which will be only $45.99 and will be available for September 7th to September 13th. 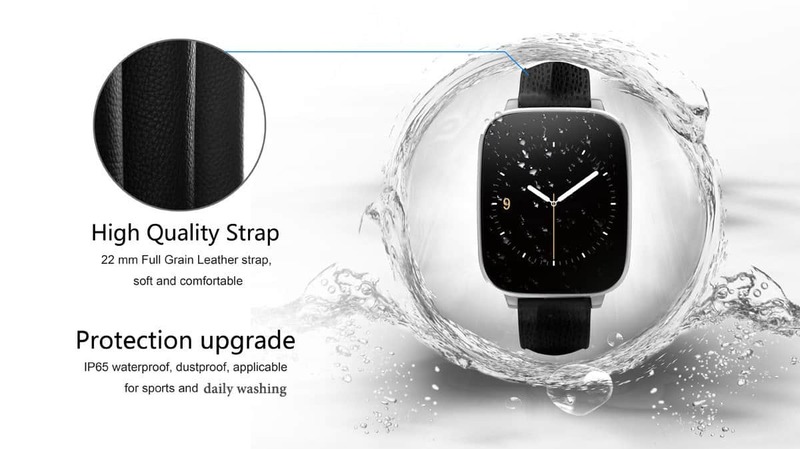 As in these days, there will be 20 units available in the flash sale which will be available for just $45.99, besides that the smartwatch will be available at regular price but guess what we’ve got a coupon for you to reduce it again.